South Korea has been full of surprises, pretty much all of them have been good. 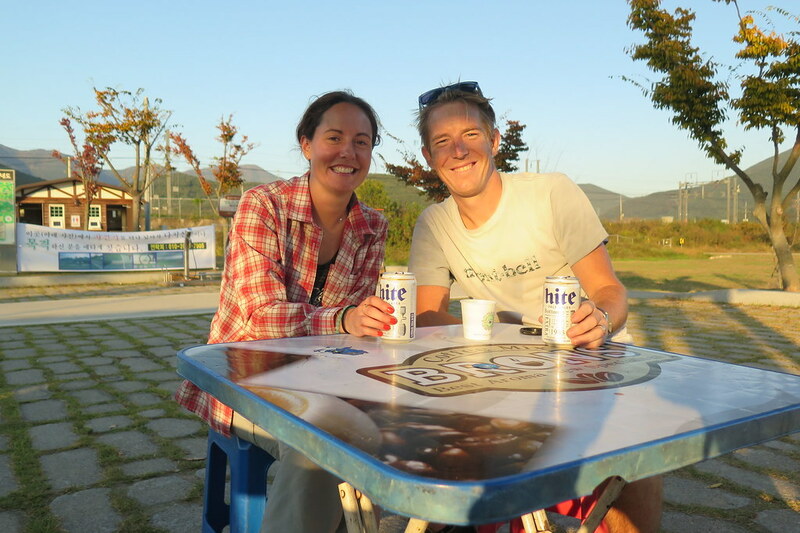 We started out with this idea of how easy it would be to ride from Busan to Incheon, and quickly with it being 633km directly along the cycle pathways. We were wrong, with unknown punctures and into a land where the language is alien to us it caused a few stresses along the way. Luckily the one constant on this trip is each other and supporting each other. Once we settled into things and finally sorted the wheel issue out, things turned around. We were back to relaxing and enjoying our path through South Korea. 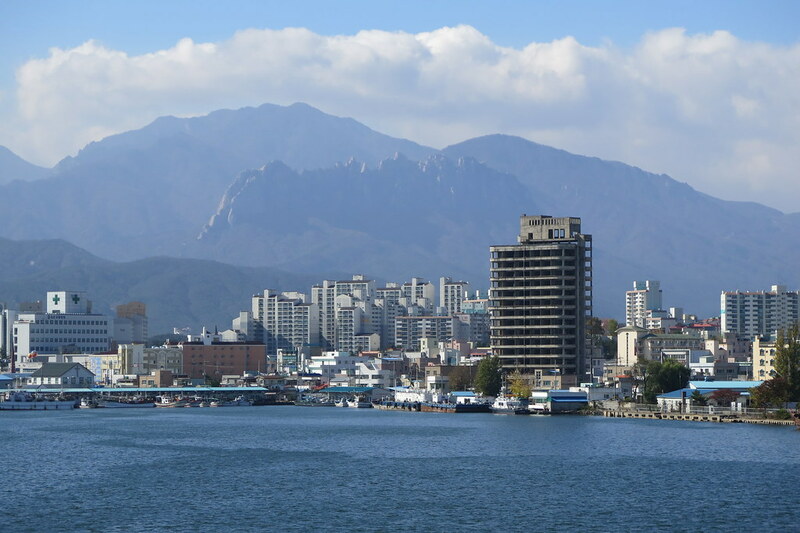 I don’t want to jinx it, but we made it up to Seoul with precisely zero flat tyres since our last blog post. It looks like the rim tape was the problem. 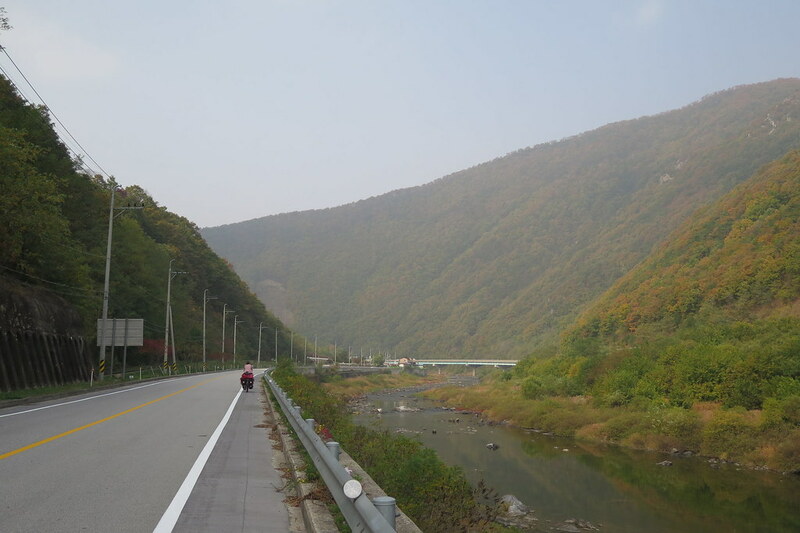 Our 24 hour break in Jeomchon was great for us too, as we were getting a bit fed up with the constant stop start, and worrying about when the tyre would go flat again. We had a relaxing hotel stay and made the most of the generous midday checkout time the next morning. We also met a couple of other touring cyclists who we’d been following on Instagram. Tatyana and John from Singapore are here in Korea for a few weeks and coincidentally were staying in the same hotel as us. Another coincidence is that they were touring around Hokkaido over the summer and had been in touch with us through Warm Showers back in June. They travel light on their road bikes, so although we’re all heading in the same direction, they’re way ahead of us now, so our paths probably won’t cross again unfortunately. 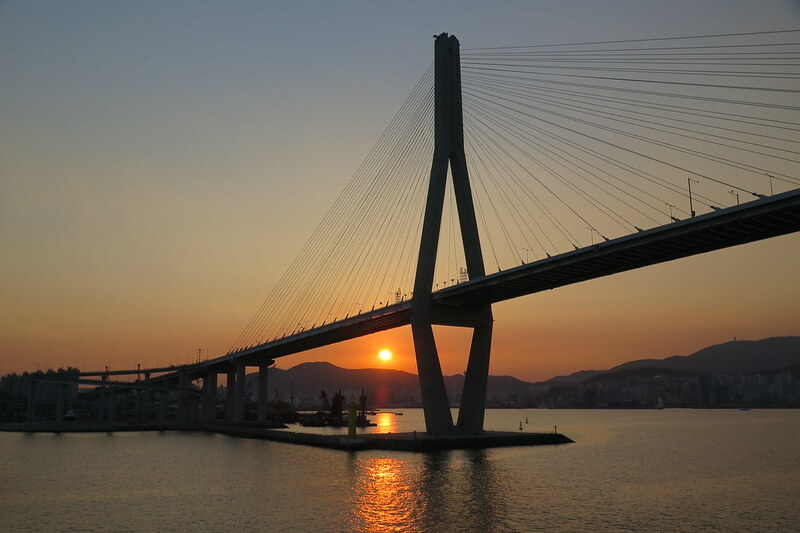 We arrived into Busan harbour on the ferry as the sun was setting. By the time we’d picked up our bikes from a weird side entrance in the terminal’s carpark, it was dark. And a bit scary. We weren’t in Japan any more.